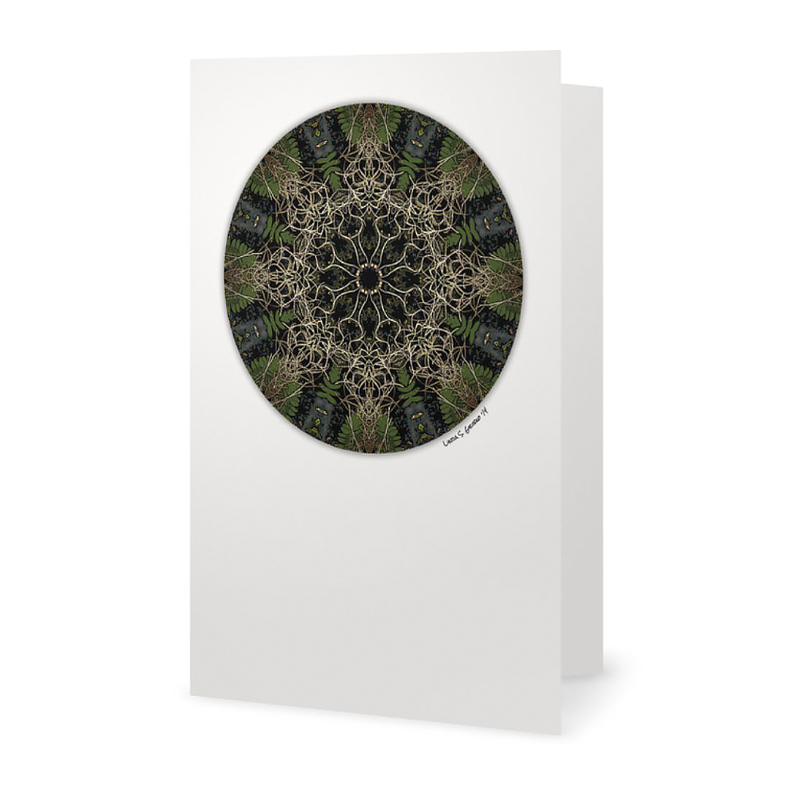 This mandala note card is a Milkweed Rising exclusive and is printed from an original work of digital art. 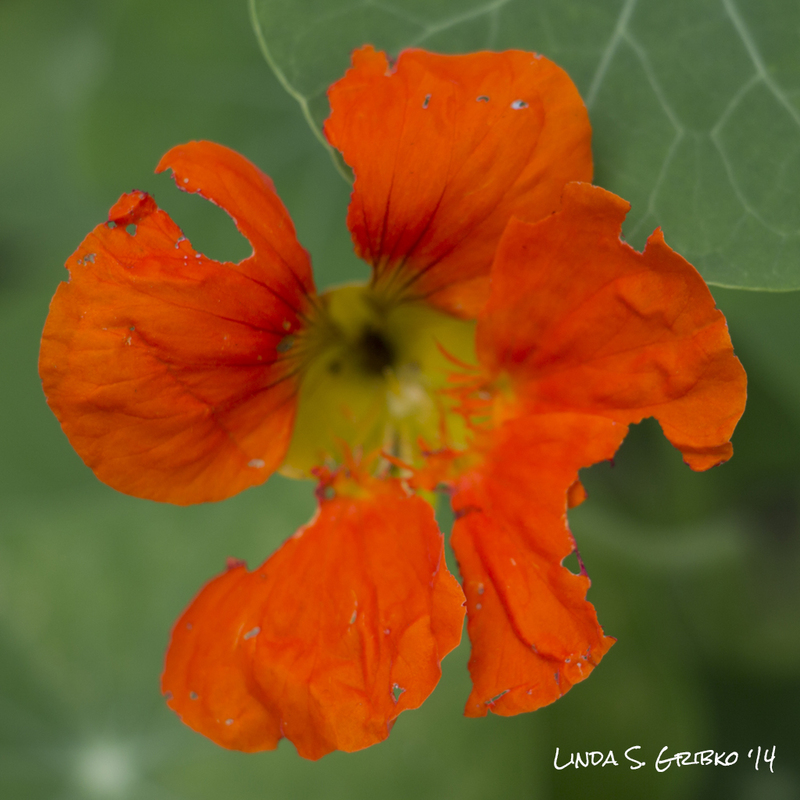 The original photo (taken two steps from my front door in West Virginia and printed on the back of the card), is really not much to look at–a ratty orange nasturtium with some leaves in the background. The finished piece, however, exudes powerful Second Chakra energy. 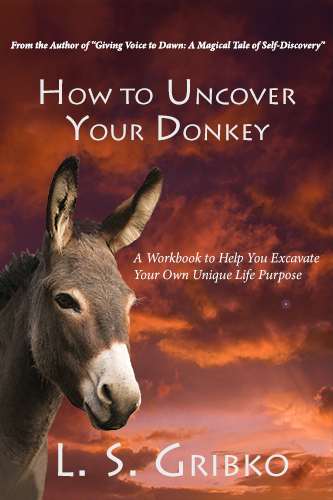 Get your creativity on, people!, it nearly screams. 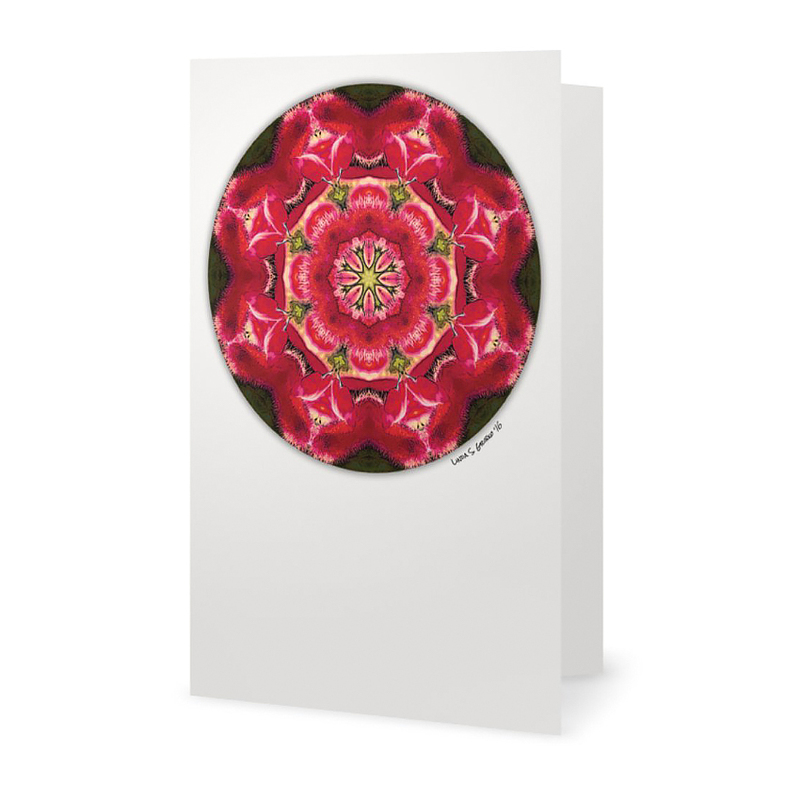 A great card for celebration and to give you or a friend a kick of energy. 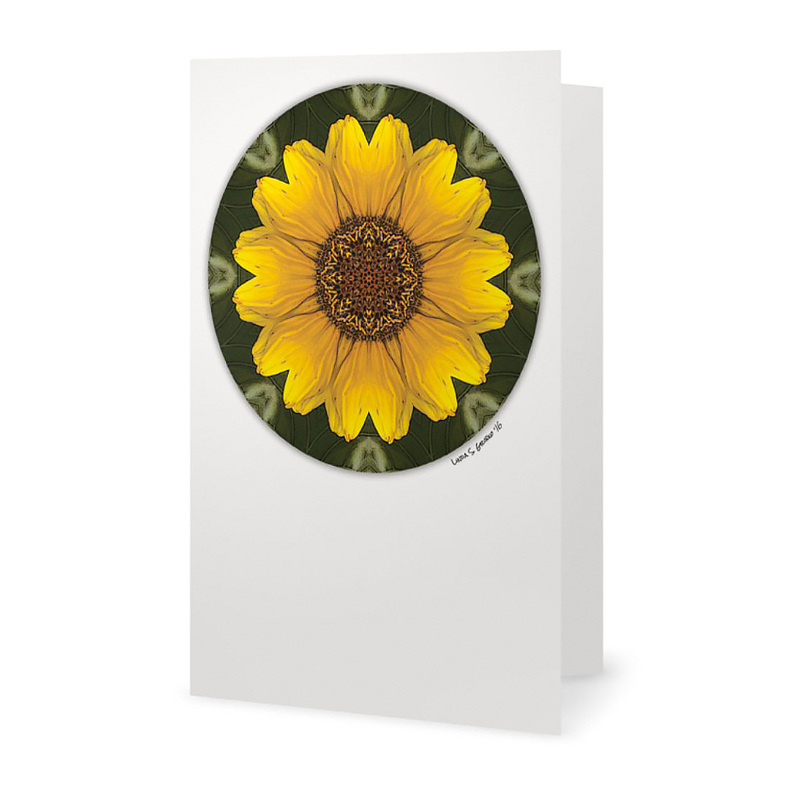 This blank card is 5″ wide and 7″ tall (portrait orientation) and is printed on premium 100 lb. white matte paper. A white envelope is included. The original color photo and the story of the piece are printed on the back of the card.